There is almost always paint left over from any paint job. It’s a good idea to save some of it for future repairs when the new paint job gets some dings and scratches. But, it is pretty disappointing to have a Saturday all scheduled and cleared for touch-up painting only to pry the cans open and discover the paint has dried out. George Borlodan, the Paso Robles painter, has some tips for safely storing paint and for recycling it when it is no longer needed. If paint containers are only partially full, transfer the remaining paint to a smaller container. Various sizes of paint cans with lids are available from most hardware stores. Sometimes a jar with a tight-fitting screw-on lid will work, too. Make sure the cans are tightly sealed. Paint can last several years without drying out when the lid is tightly replaced. Replace the lid and run your hands around the edges, pushing down for a tight fit. For added sealing, gently tap all around the edge of the lid with a rubber mallet. Don’t use a hammer because that might warp the lid and let air in. Mark the lid with the storage date, name of the room the paint was used in and the color. Store the paint in a cool, dry and dark location. Extreme hot or cold temperatures can ruin the paint. Latex paint tends to separate in cold weather and heat dries it out. Very hot temperatures can even cause oil-based paint to combust and start a fire. When it is time to reuse the paint, use a special paint can opener to lift the lid. A screwdriver might warp the lid, making it difficult to properly seal the can again. 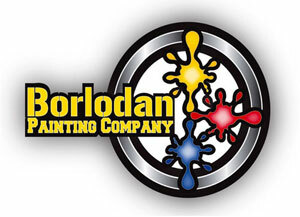 If you have questions about storing paint, give the Paso Robles painters at Borlodan Painting a call. Unless the paint has completely dried out there are a number of creative uses for leftover paint that keep it out of the landfills. Most stores that sell paint take old paint and dispose of it properly. Also, contact the local waste disposal facility and ask for instructions for disposing of old paint. There is a nice list of recycling uses for unwanted paint. 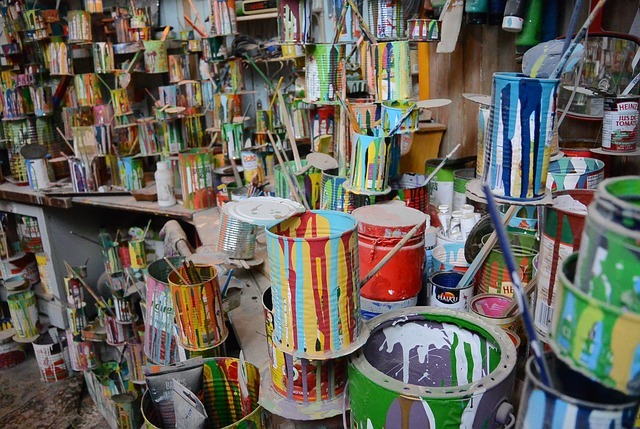 Creative projects are at the top of the paint reuse list. Even Pablo Picasso painted quite a few of his masterpieces with ordinary house paint. With supervision, children can use latex house paint for art projects. Just be sure they wear old clothes or aprons to protect clothes. Paint with brushes, not fingers. Unused paint can also be given away. People are always looking for paint they can combine with what they already have to create enough for a project. Contact Borlodan Painting with any questions about paint, including the best kind of paint to get for a project, how to store paint, and what to do with leftover paint.